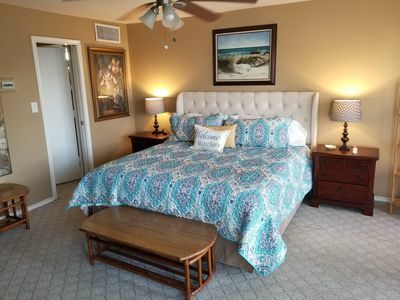 5 bedrooms/4 baths Sleeps 16! 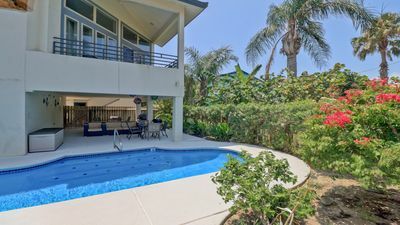 Great Pool with new heater, 2 min to beach! 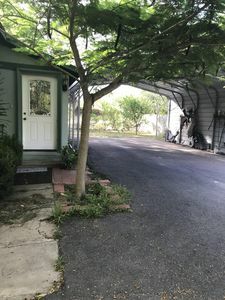 Contact Lori for information about special discounts such as Military personnel and teacher discounts, plus spring and last minute specials (book within a week before your vacation dates and get an additional discount)! 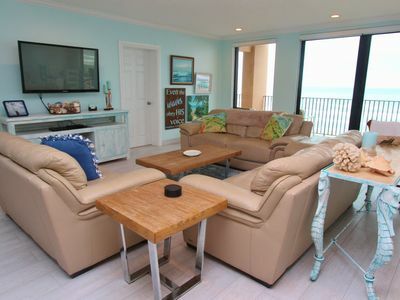 This wonderful home was featured on HGTV's Island Life show! The 5 bedroom home has 4 full baths, is comfortable and spacious for all, and has beds for 16 guests! 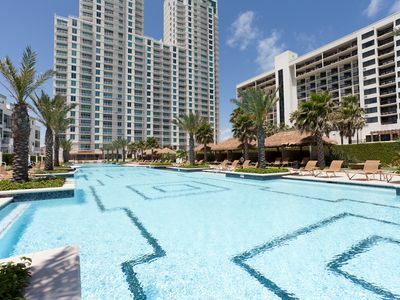 Perfect for multi-generation family vacations, or multiple families vacationing together. 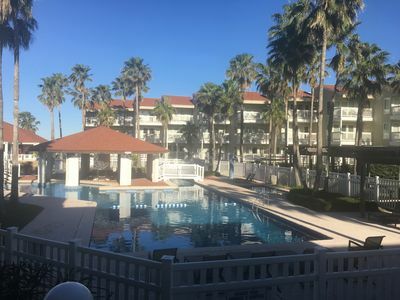 Enjoy the large sparkling private pool (heating is optional) with nice landscaping, covered back patio with lots of seating, large back upper level deck, and front balcony, all only 1/2 block from the beach. A short 2 to 3 minute walk. There is even handicapped beach access if needed for anyone who might need help getting to the beach! Check with the South Padre Fire Department about borrowing a wheelchair for the beach! 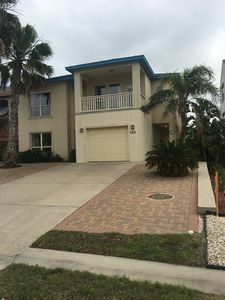 This two-level home is not only half a block from the Gulf of Mexico, but is also just a short walk from restaurants, a grocery store, shops, recreational outfitters and nice clubs. 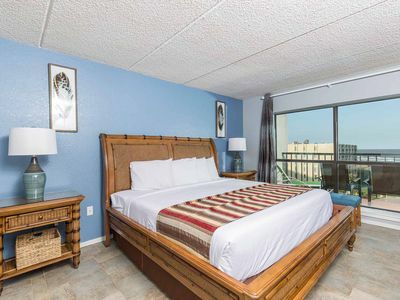 Only a few minute walk to the Wanna Wanna Beach Bar and Grill, Kelly's Irish Pub, Parrot Eyes Restaurant Bar and Water Sports, and Coral Reef Lounge. 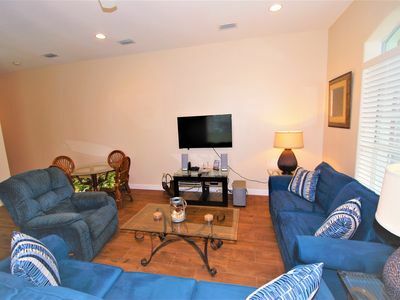 Enter on the bottom level into a nice living room with a TV, DVD player and lots of movies. Watch the kids swimming in the pool from the large windows, or join them through the door leading from the living room to the backyard. The lower level also has two spacious bedrooms, one with two queen beds and the other with two sets of bunks, both rooms sleeping 4. These two rooms share a Jack-n-Jill bath. The third bedroom on the lower level is a small bunk room that sleeps 2, perfect for kids or grandma. The laundry room with a new, large capacity size washer/dryer, lots of beach towels, extra bathroom towels and bed linens, is next to the second full bath on the lower level, that has a new 8" rain shower head! 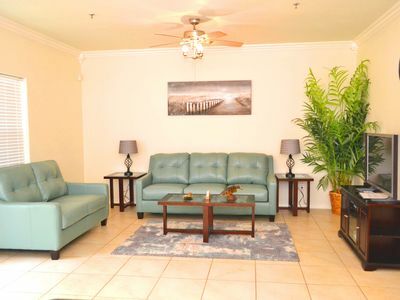 The second floor has a spacious great room with two leather sofas and a large TV with cable and internet. The house also has free Wi-Fi for the guests to enjoy. The upstairs great room works well for entertaining large groups, and includes a dining room table that seats 8, as well as a kitchen counter bar that seats 4 more. 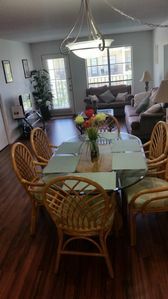 Your family and guests will enjoy home cooked meals in the well appointed kitchen. There is a large pantry to store everything you need, and a dishwasher to clean up after the meals. The Chef in the family will enjoy the new charcoal grill on the lower patio, while guests can sit right outside the great room on the large upper level deck that overlooks the pool. 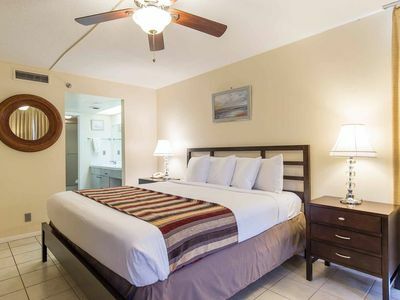 The second floor also has a guest room with 1 queen size bed and 1 full size bed, sleeping 4, connected to a full guest bath, which has a new 8" rain shower head. The master bedroom is also on the second floor, having an on-suite bath (with new 8" rain shower head!) and a queen bed with a foam mattress topper. A door leads from the master bedroom out to a private balcony on the front of the house. Enjoy your coffee and watch the sun rise from your private balcony. This house also has a one car garage to house your car and all the beach toys. We provide a wagon, chairs , boards, beach towels and umbrella for the beach. 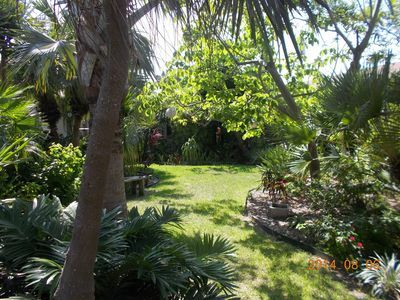 There is parking for four to five more cars in the spacious paved driveway under the huge palm trees. 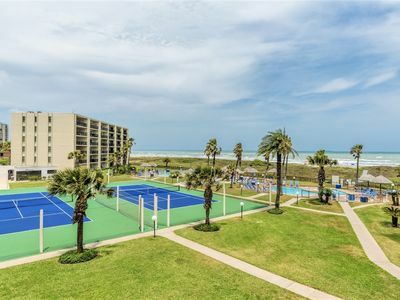 Come to South Padre Island for its beautiful beaches, friendly people, and wonderful family atmosphere.Spend the day on the sandy beach, enjoy a horse back ride on the beach, or spend time at the Schlitterbahn Beach Water Park just a few miles south of the house. The fishing on the bay is great too! 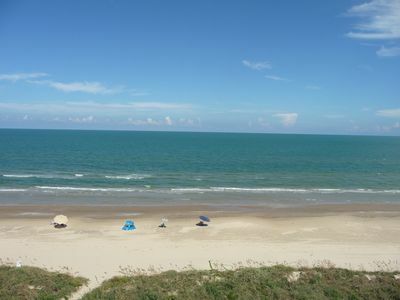 Any time during the year is the right time to visit South Padre Island. 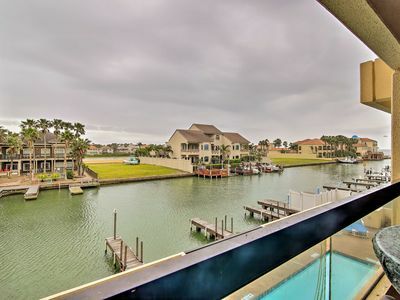 Make this house your one-stop vacation home today! 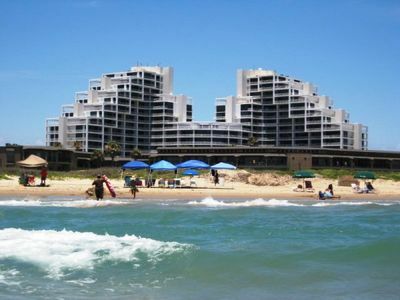 And you never know, you may just end up wanting to buy your own vacation home on South Padre! Remodeled Dec 2017: Ground Floor - 2 minute walk to the Beach! BBQ Pit! 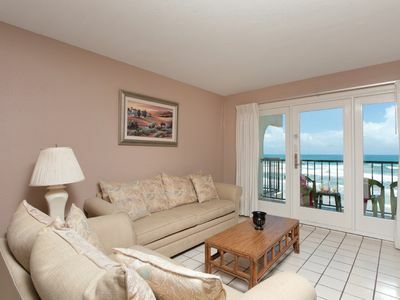 Oceanfront Condo at the Sapphire Resort & Spa! Resort Style Pool, Gym, & more! 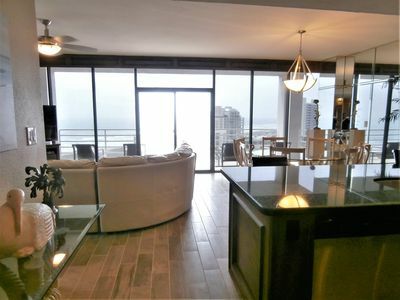 Beautiful Condo. Direct Access To The Beach. Spectacular views for miles. 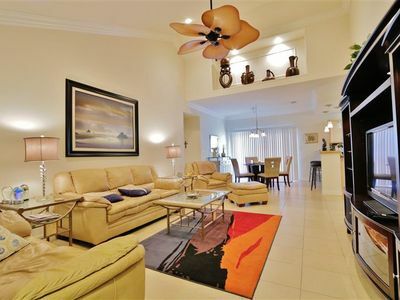 Fabulous, remodeled 3BR with large balcony.